Dennis Moore, fifty-four, helped Antoinette Crotty dig out the blackberry-laced hillside that helped establish the Interbay Bay P-Patch in 1974. Back then, as young twenty-somethings, Moore and his friends were fairly typical Seattleites-community-minded individuals with a do-it-yourself spirit-and the P-Patch community gardens popping up around the city represented that sensibility. Thirty-six years later, the P-Patch program is a national model for community gardening and a catalyst for progressive city policies that recognize and support urban agriculture in Seattle. The P-Patch name derives from the first garden, begun in 1973 by a group of University of Washington students. They saw a patch of land that had laid fallow since its days as a truck farm in the 1920s and 1930s. The Picardo family owned the land and allowed the students to grow food and use the garden as a teaching space for area youth and other university students. A general back-to-the-land sentiment was running through much of the West Coast at the time, and Seattle, with its job losses following the 1967 to 1971 Boeing cuts, saw an opportunity for positive community growth via shared garden spaces. The city bought the original garden patch land from the Picardo family, and the concept for community gardens spread quickly on underutilized city lands, such as public right-of-ways, the ground beneath power lines, and abandoned lots. By the time Antoinette Crotty, Dennis Moore, and others were converting a blackberry patch into a P-Patch in the Interbay neighborhood, over ten community gardens were in the P-Patch organization. By 2010, there were seventy-three P-Patches farming twenty-three acres of city land. The community garden infrastructure mimics the allotment gardens that have been popular in Britain and other countries for centuries. As opposed to an urban farm that has a manager and a staff of employees or volunteers who collectively plan, sow, tend, and harvest the produce and flowers for market sales, the community garden model allots small beds to individuals who apply for a plot, pay a nominal fee (roughly fifty dollars per year), and adhere to a basic set of shared guidelines. Each bed is its own small farm, and the plot's owner can do what he or she wants with the food, though the majority use the produce for their respective households. In that way, the patch acts as a sort of surrogate garden for city dwellers who might not have the land or, as is common in Seattle, the sunlight to grow food. Much of the longevity and success of the P-Patch program stem from its relationship with the city. The organization is housed within the city's Department of Neighborhoods. The P-Patch supervisor and five staff members manage gardens by maintaining the wait lists and registration, policing the rules of the farms (removing delinquent growers), cultivating volunteer leadership teams at gardens, networking the patches with food banks and charities, and working with communities that want to start new patches. The city created a fund in which volunteer hours worked on P-Patches are matched with monetary funding for maintenance, water, and supplies. The Neighborhood Matching Fund distributes roughly three million dollars a year to P-Patches throughout Seattle. In addition to the financial boost the city provides, the P-Patches benefit greatly from the simple fact that they are recognized by the city and have a departmental place within city hall. That relationship gives Seattle's community gardens a voice in government, whereas most urban farms and community garden groups in other cities operate outside the political structure of their municipalities. Andrea Petzel, a senior urban planner with the city of Seattle, has led an effort to recognize and define urban agriculture in the city. She identifies the P-Patch program as a major backbone to the city's overall understanding of and commitment to growing food in Seattle. In 2010, the city held a series of meetings and planning sessions to address urban agriculture and to begin creating policy. Perhaps these meetings' most pivotal step was to define urban farming, which was deemed "growing food on a property and selling it." The planning office recognized a difference between an urban farm and a P-Patch or community garden, which is a shared space that gets treated like a park. "The P-Patches kind of got us started in the right direction," Petzel says. "They are a recreational, community-building tool, and we need that grassroots foundation to inform and create a base for policy." The planning process was also important because it brought the grassroots people into the political world, which allowed them to see they have a role in policy creation. "We had everyone in those meetings: architects, farmers, hippies, developers, city planners," says Petzel. "It was a love fest among a wide variety of people." The P-Patches and other community garden programs go beyond providing just a garden-away-from-home. They act as a "third place" within the participants' neighborhoods. Shared responsibilities ensure that collectivism is central to each P-Patch operation. Participants must volunteer a minimum of eight hours per year toward overall garden maintenance, such as weeding the pathways, turning the compost, mending fences or water lines, and, increasingly, collecting ripe produce for donation to local food banks. The Interbay P-Patch, for instance, donated twenty-seven thousand pounds of vegetables in 2009. Most of the food-bank vegetables are grown alongside each gardener's household produce, so that a small portion of each plot's yield goes to food banks. But some P-Patches, including Interbay, have cultivated dedicated sections of the property for food banks, with volunteer time spent tending and harvesting the crops. The sense of inclusive support among the P-Patch growers and the city's needy has been around since the program's beginning. Dennis Moore has participated in every aspect of the P-Patches, from the first plantings on the Interbay site to the early roots of the donations to food banks and AIDS and cancer patients. "Over thirty years, your garden means different things at different times," says Moore. "At first I was a starving college student, and if I didn't grow the produce in my garden, I wasn't eating." Eventually, however, he began making food deliveries in the early 1980s, when the Interbay crew created the Chicken Soup Brigade to serve cancer and AIDS patients in Seattle. Moore enjoyed bringing the donations to the folks who couldn't leave their homes. "It's easy to think, 'Oh those people receiving the donation don't care; they're just getting free food.' But I saw that the patients really appreciated the freshness and quality of local produce. They immediately made the connection that what was happening was intentional-that the P-Patch gardeners were growing food for themselves, but were also growing it with the knowledge that they'd be sharing it with someone else." Moore has joined in the three fights to save the Interbay P-Patch from development, most recently from a group that wanted the land for condominiums. A golf course borders one side of the patch, and the site has only increased in real-estate value over the decades. The patch has been moved twice, but the garden continues to gain support, with a waiting list that increases every year. For the last few years, Moore has grown flowers on his plot. They explode out of the soil and fan over the raised bed's border like frozen fireworks. Nowadays, Moore finds himself on the receiving end of the food donations. Although he still tends his flowers and volunteers on the patch's food-bank plot, he has become a client of the cancer and AIDS program he helped to start. So Moore benefits from the sharing, community spirit of the Interbay plot, from the P-Patch organization as a whole, and from the city of Seattle's willingness to officially recognize community gardening and bring it to the table of civic discussion. The term food security gets used a lot these days, but Moore, who has traveled the length of the community-garden spectrum, from individual pioneer to donation recipient, prefers to call what's happening in Seattle with community P-Patches and throughout the country with the urban farm movement in general food sovereignty. He believes that speaks to the root of it all, the organizational and individual intent of it all. It's the most important commonality of the entire urban agriculture movement, and it's a trait seen in every community gardener, urban farmer, volunteer, farmer's market shopper, and CSA recipient throughout the country. The individual and community grassroots energy has been behind the movement for decades, but when cities follow Seattle's lead and begin to participate in and recognize the potential of urban agriculture, the horizons for the inclusive growth of urban farming expands. 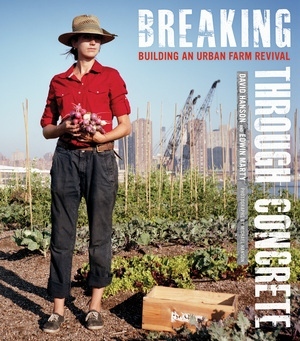 And as urban farming expands, the chances for a revitalized national food system grow. ACRES: The seventy-three P-Patches throughout the city total 23 acres. MISSION: To provide community-gardening opportunities for the city of Seattle. WHO'S IN CHARGE: Seattle's Department of Neighborhoods oversees the P-Patches; Rich MacDonald is the program supervisor. SURROUNDING NEIGHBORHOOD: All neighborhoods of the city. ZONING: Zoning remains the same as it was before P-Patches (residential, public right-of-way, park). FUNDING: The city of Seattle and the Neighborhood Matching Fund distribute about $3 million per year. The nonprofit P-Patch Trust provides tools and advocacy and supplies garden fees for P-Patches in low-income communities. WHO EATS IT: The individual growers, plus the P-Patches contribute over 100,000 pounds of produce each year to Seattle food banks. People have always grown food in urban spaces—on windowsills and sidewalks, and in backyards and neighborhood parks—but today, urban farmers are leading an environmental and social movement that transforms our national food system. To explore this agricultural renaissance, brothers David and Michael Hanson and urban farmer Edwin Marty document twelve successful urban farm programs, from an alternative school for girls in Detroit, to a backyard food swap in New Orleans, to a restaurant supply garden on a rooftop in Brooklyn. 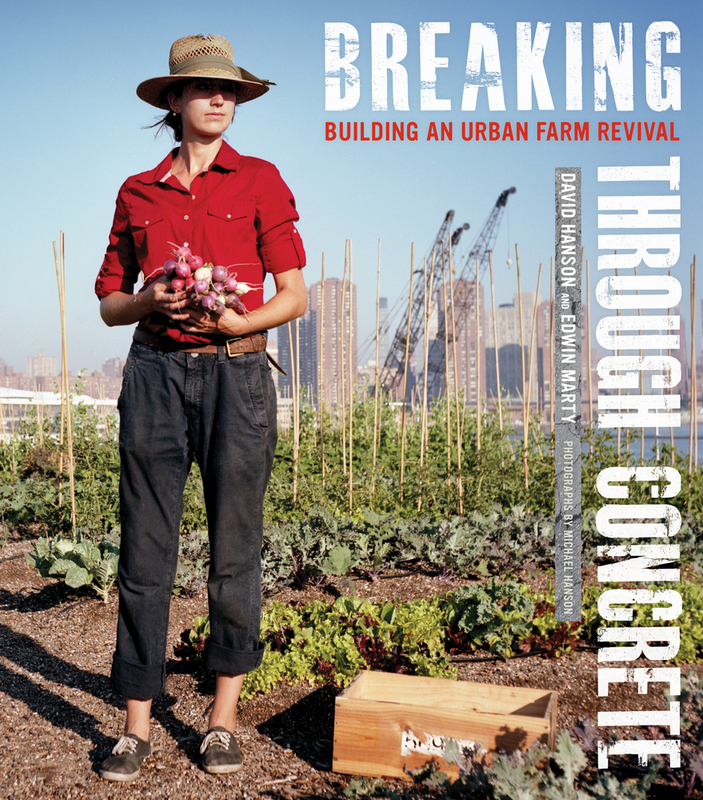 Each beautifully illustrated essay offers practical advice for budding farmers, such as composting and keeping livestock in the city, decontaminating toxic soil, even changing zoning laws. David Hanson is a freelance writer and photographer. Edwin Marty is founder of Jones Valley Urban Farm in Birmingham, Alabama. Michael Hanson is an award-winning travel photographer. Mark Winne is the author of Food Rebels, Guerrilla Gardeners and Smart-Cookin’ Mamas: Fighting Back in an Age of Industrial Agriculture.